Chocolate cookies are my absolute favorite. Okay so I love anything chocolate, what woman doesn’t? Today I have these chocolate cookies with chocolate caramel chips recipe for you guys. 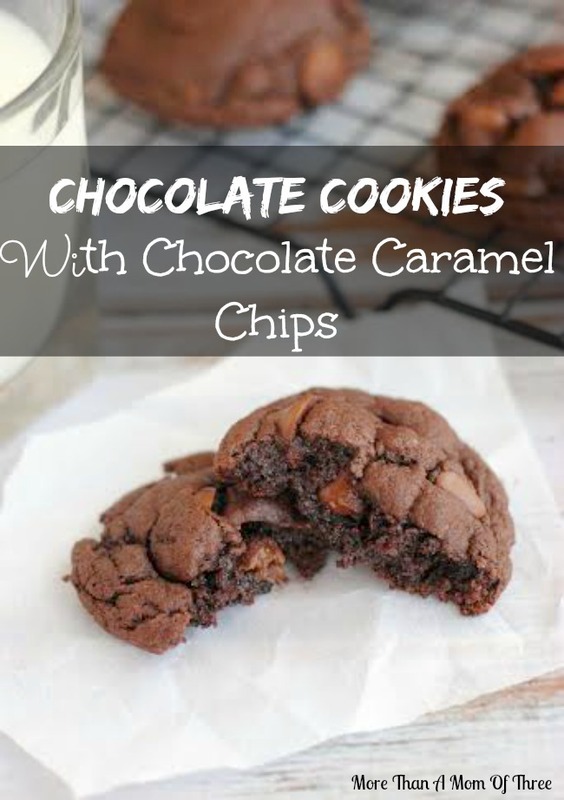 They just ooze with chocolate and caramel flavor. They balance each other very nicely in these cookies, neither over power the other. I made these over the weekend and there is not one left in my house. My kids and husband devoured them all! They were a big hit. 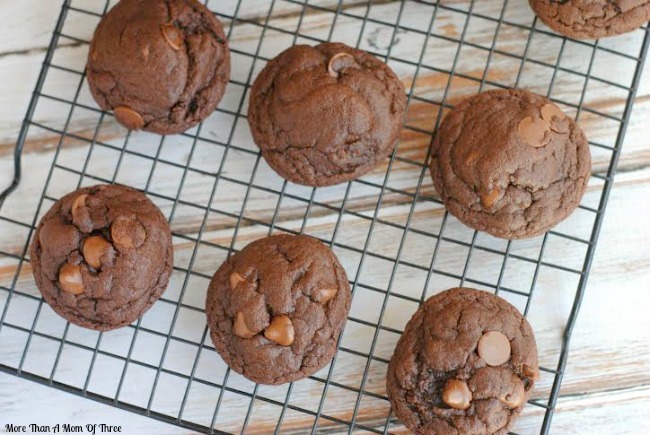 Be sure to pour a tall glass of milk with these delicious chocolate cookies with chocolate caramel chips and enjoy a couple for a sweet afternoon snack. 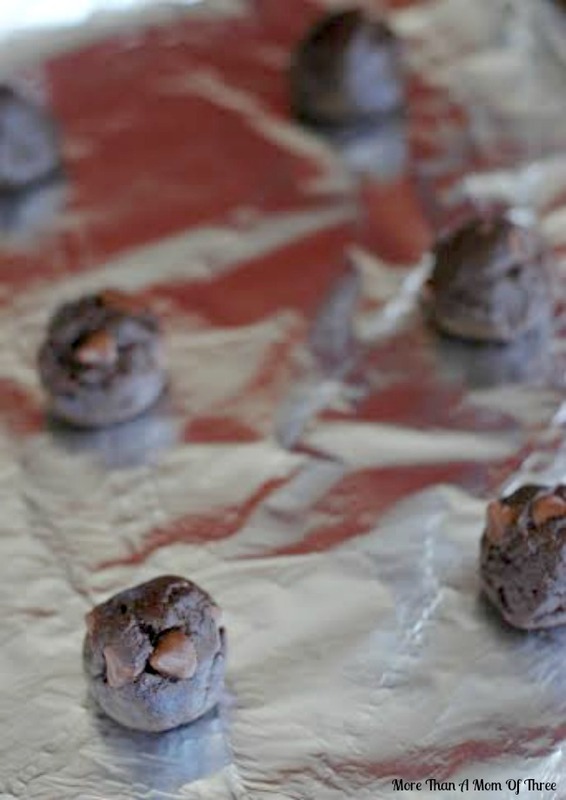 Preheat the oven to 350 degrees and line your baking sheets with parchment paper or foil. In a separate, larger bowl cream together the eggs, softened butter and sugar. 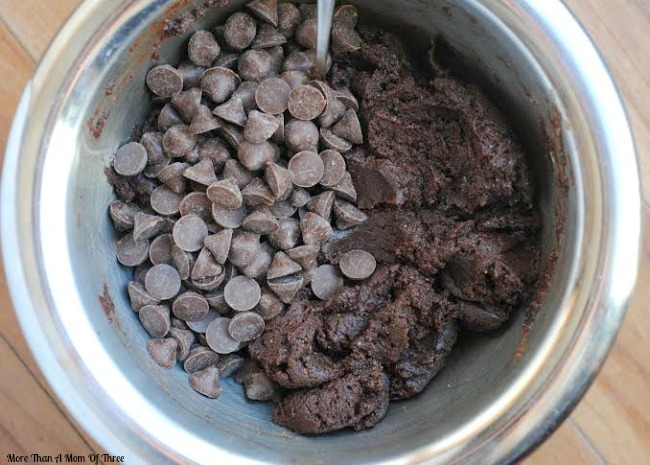 Slowly fold the dry ingredients into the wet ingredients mixing well. Add in the Nestle Toll House Caramel Filled Morsels. Add rounded tablespoon or cookie scoop onto your baking sheets about 2-3″ a part and bake 8-10 minutes. This makes approximately 2 dozen cookies. 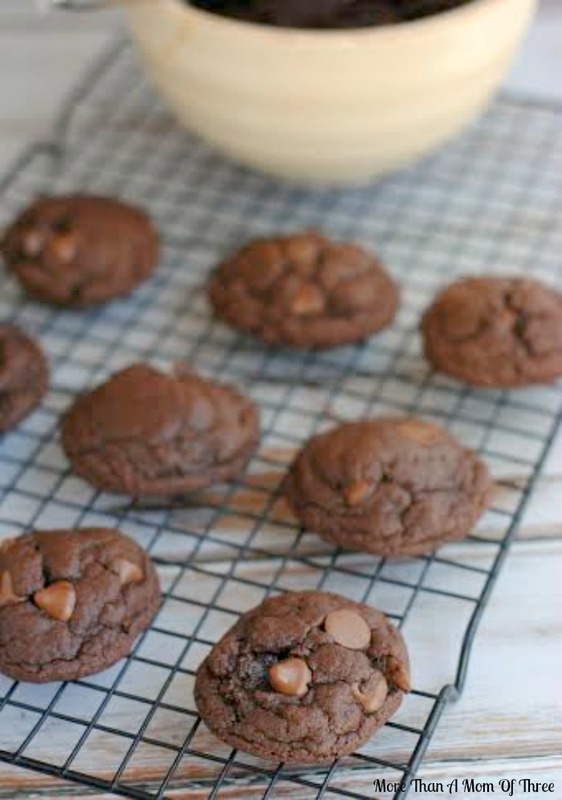 Do you have a favorite chocolate cookie recipe? Oh those look heavenly! Nothing like chocolate and caramel together. I love chocolate chip cookies and my sons a caramel hound! Sounds like the perfect marriage to me! Those really look and sound delicious. I can truly state with all certainty that if I were to make them they would be gone in very short order–and I live alone!! Those cookies just look amazing. I need to get in the kitchen and get baking again. I love how chocolatey they look. Donna Ward recently posted…How Can You Amplify Social Media to Increase Traffic? I’ve been so good today, but this is going to kill my willpower. Chocolate and caramel? Oh my. Oh my word, these sound amazing! I love caramel! Great flavors in these cookies! I’m going to have to make a batch! I’ve been drooling over them all day 🙂 Shared on Facebook and pinning right now! These look amazing!! I will definitely need to make these! Chocolate and caramel are made to go together. These sound delicious! Wow these little babies look delicious! Ugh, you just inspired some really intense pregnancy cravings. Cookies and milk sound delicious. These look so so delicious!! 🙂 I’ve been dying to try out those chocolate caramel chips, and your recipe definitely gives me a fantastic excuse to go buy a bag!! Craving them already! Caramel and chocolate–you can’t get better than that! Thanks for the recipe! My 2 top flavors in my favorite treat. Life doesn’t get better than that… chocolate, caramel, and cookies. Yum! Those look so good. I was not aware of caramel chocolate chips…duly noted.